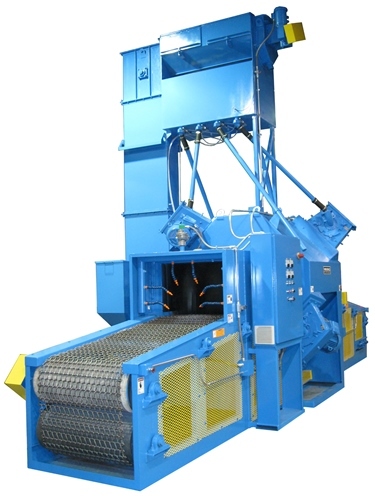 Rodeco can fit you for the right piece of customized equipment to meet your wheel blast equipment needs. 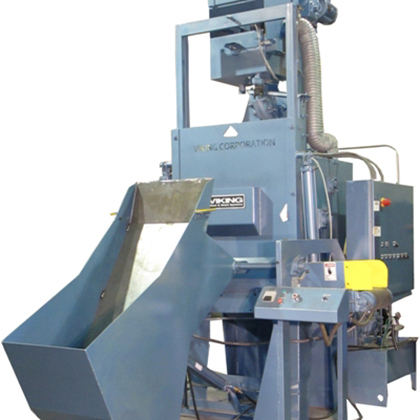 Wheel blast equipment offers rapid and heavy-duty blasting to increase productivity. 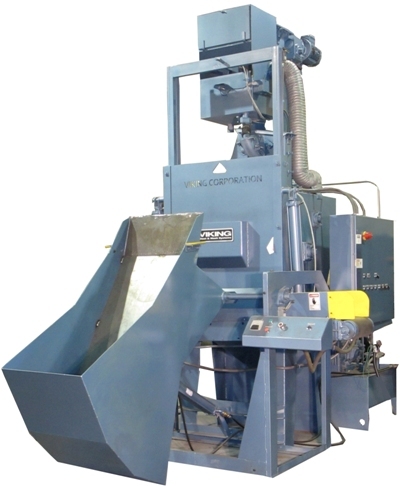 Our wheel blast equipment can handle any material, meet surface specs, and are engineered to finish hard to reach areas.While the capital cost may be higher, most of the time it easily justified by the longer media life and increased production rates. 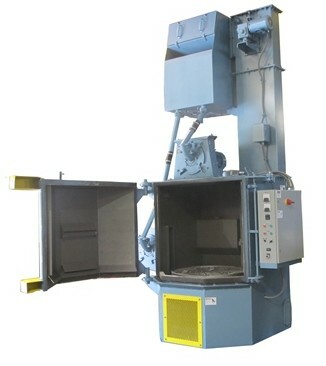 There are many styles of equipment available. In order to blast steel plates, I beams, or other long parts, the monorail is the ROI winner. These units provide the most effective method for cleaning a wide variety of parts with variable speeds. 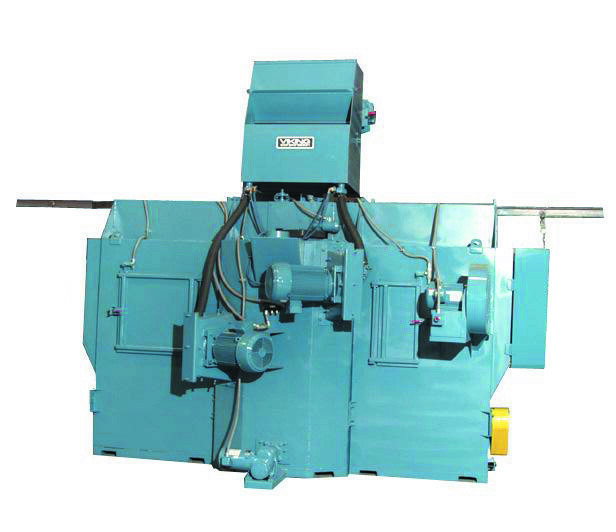 Perhaps the most common style of blast-wheel equipment, tumble blasters can handle high volumes of smaller parts that slowly tumble on each other. 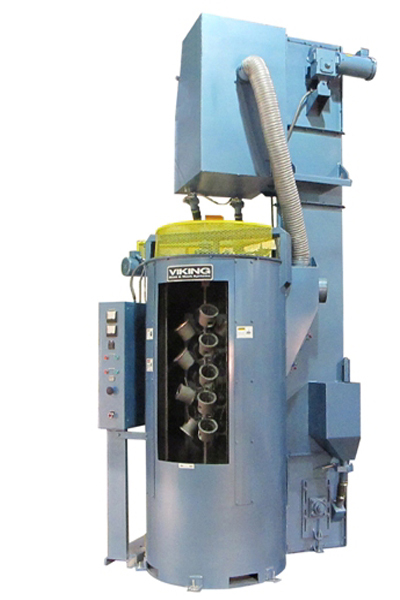 This is well suited for forgings, fabrications, and heat-treated parts. By handling parts in bulk, rather than one at a time, labor costs will be lower and your Return on Investment (ROI) will be much higher. When there are high volumes of parts that need 100% coverage, the chain mesh belt can offer high ROI. Rodeco can help you with the ROI analysis. These provide the most flexible and economical alternatives. Basically, these are large tables (with many diameters offered) that rotate under the blast. These units can hold a single larger part on a rack or a variety of smaller parts. RODECO CAN HELP YOU PURCHASE THE RIGHT EQUIPMENT FOR THE RIGHT JOB. Minimize your down time by making sure your equipment is well maintained. Take advantage of our Field Services to ensure your equipment is not neglected and is producing finished and cleaned products. We can do an assessment and make recommendations or set up a regular maintainence program. Contact us today for more information.